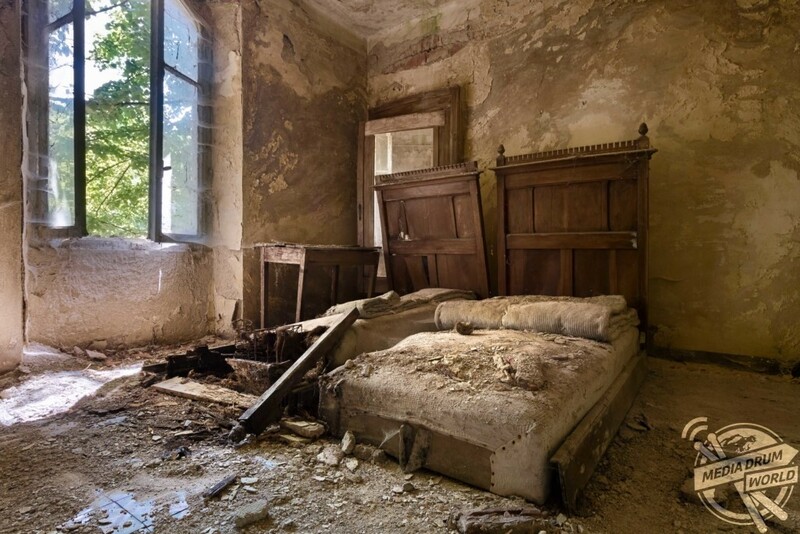 YOU MAY relish the thought of spending as much time tucked up in bed as possible but you’ll soon change your mind once you’ve seen inside these eerie abandoned bedrooms. 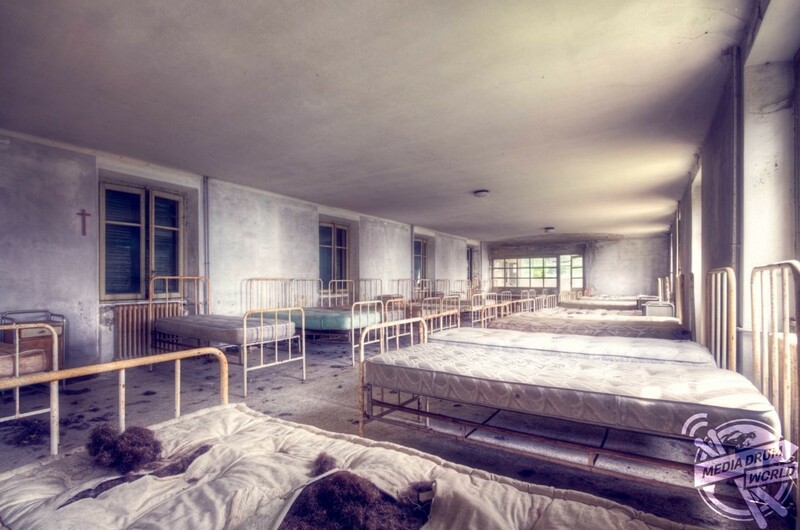 Haunting images have revealed what could be the spookiest abandoned bedrooms in the world. 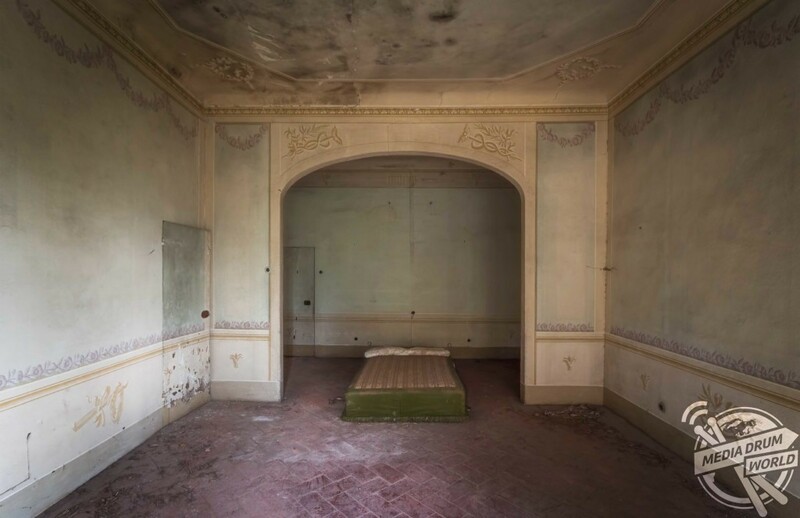 The stunning series of images show sterile rows of unmade beds in a former children’s hospital in Italy, a lone mattress on the cold brick floor of a long-forgotten building and a regal looking bedroom complete with ornate headboard which takes pride of place in the centre of a French castle’s bedroom. 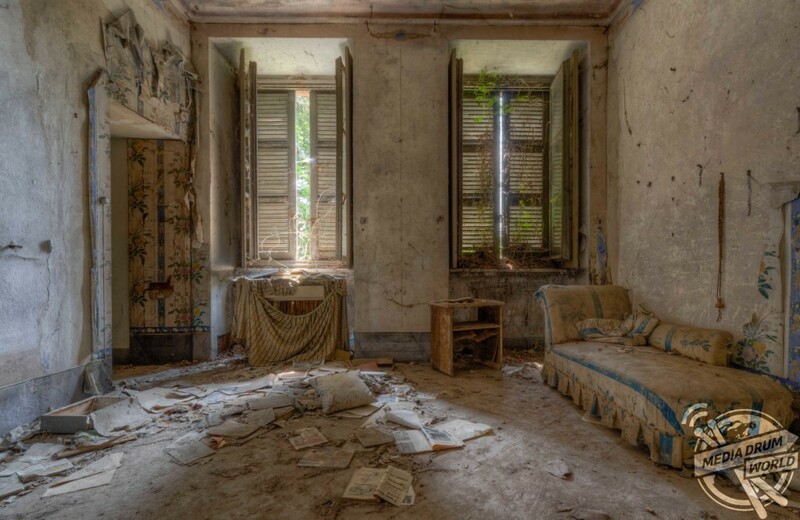 Other chilling snaps illustrate how nature has taken over these rooms with mould covered walls and rotting mattresses. 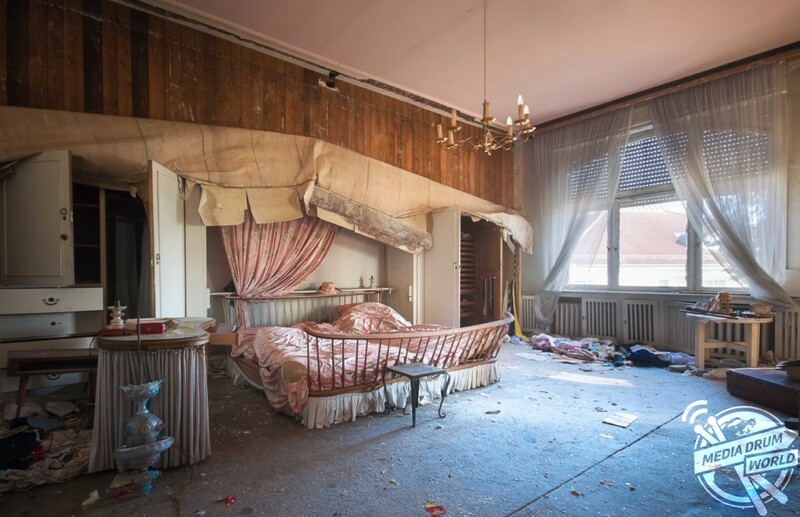 One image even shows how a wooden bedframe has completely collapsed and another shows a mangled child’s cot. One picture shows an ensuite bathroom falling through the caved-in floor. 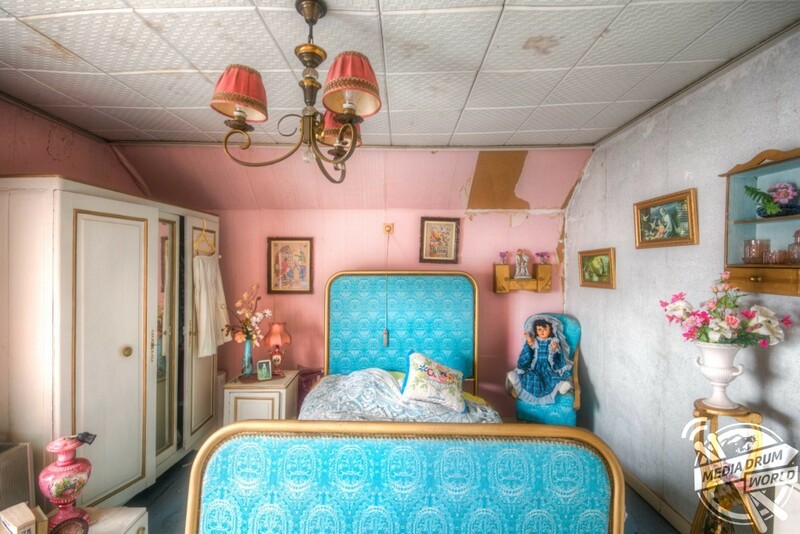 In stark contrast to the others, one bedroom in the collection looks surprisingly untouched with paintings hanging on the wall and a doll sitting in a bedside chair. 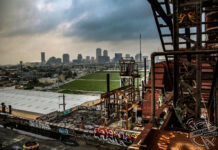 The enchanting images were taken by IT Service Manager, Roman Robroek (29) from Heerlen, The Netherlands. 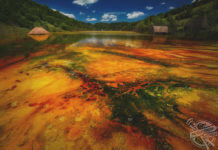 Roman captured the images using his Canon EOS650d camera that he has used for three years. 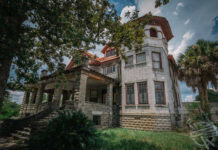 “The opportunity to peek behind closed doors is a truly unique experience, both relaxing and enticing at the same time,” said Roman. 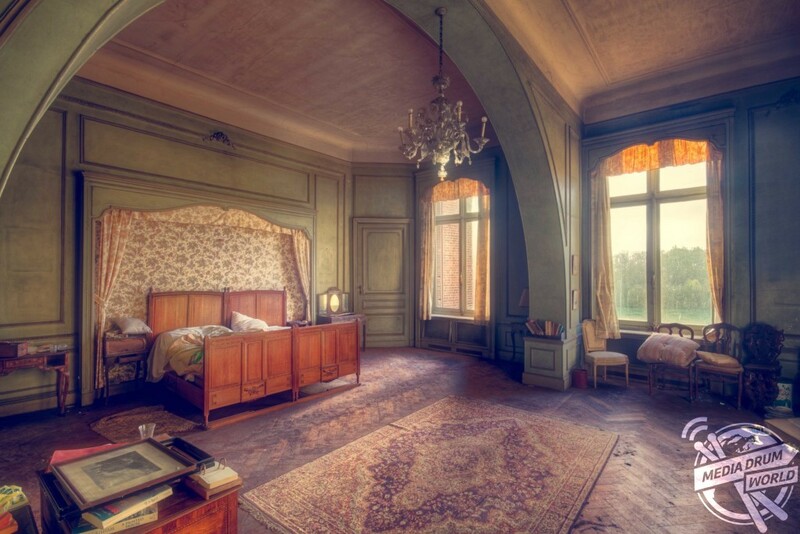 “The bedroom is one of the most personal spaces in a house, hotel or other kind of building. It’s a place where my imagination can go wild. 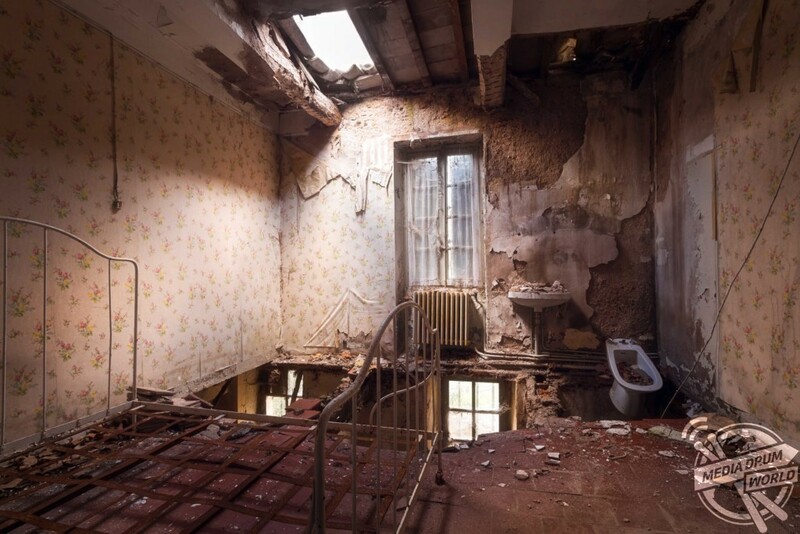 “When I stand in an abandoned bedroom, I like to think ‘what happened here?’, people used to sleep here, be intimate here, have discussions and laugh here. 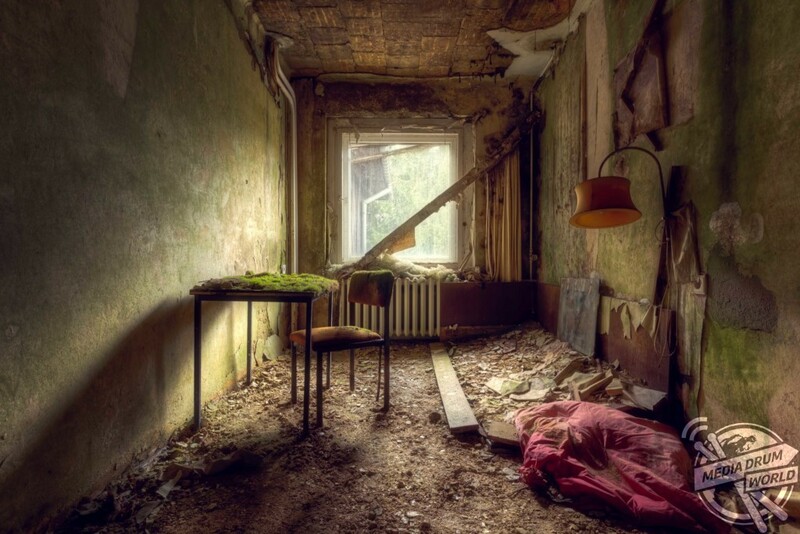 “I’ve tried to capture photos of the rooms where people used to relax, play games, watch television or read a book. 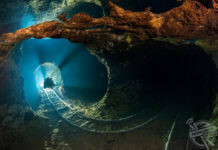 Roman visited thirteen locations throughout France, Belgium, Italy and Germany to complete the collection of images but explains that his quest wasn’t completely without problems. 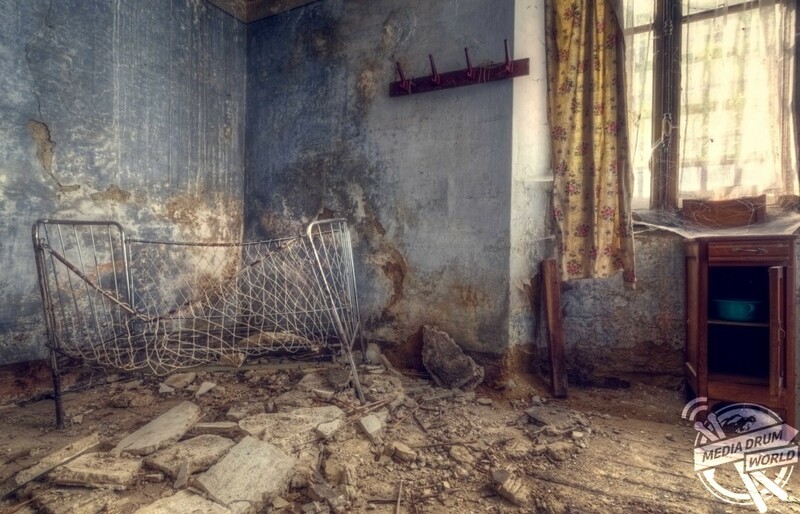 “I was exploring an abandoned house once and after checking every room on the ground floor I went up to check the other rooms. 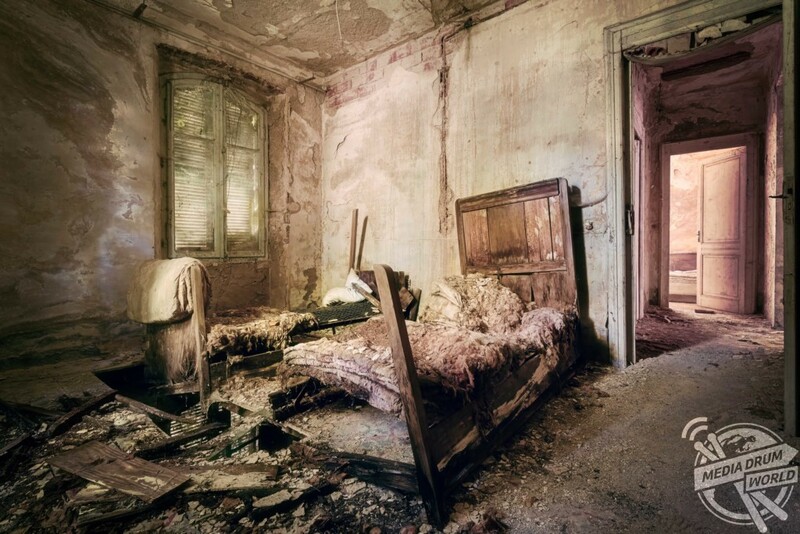 “I opened the door to one of the bedrooms and there was a body in the bed, it scared me and at first I ran off.